My wife and I have been looking for a way to make our back yard a little more inviting for rest and relaxation. 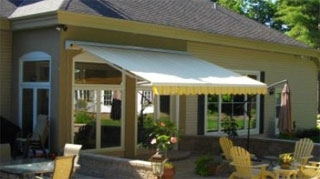 After reading through this article, I think an awning might be a great option for us to accomplish this. The article even mentions that an awning’s benefits don’t stop at just shade for your outdoor space, but can also help you save on energy bills! My wife is always looking for ways to cut down our energy bills so I’m beginning to think an awning is a worthwhile investment for us.